This coffee table, built to the customer’s specifications, featured 8/4 walnut on the top and 12/4 on the support trestles. 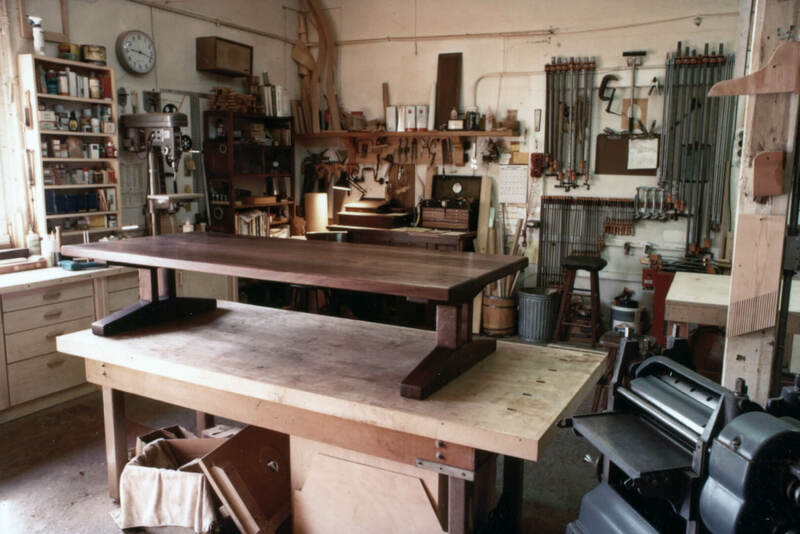 Pau ferro was used for accent between the top segments and as inlay on the lower trestles. 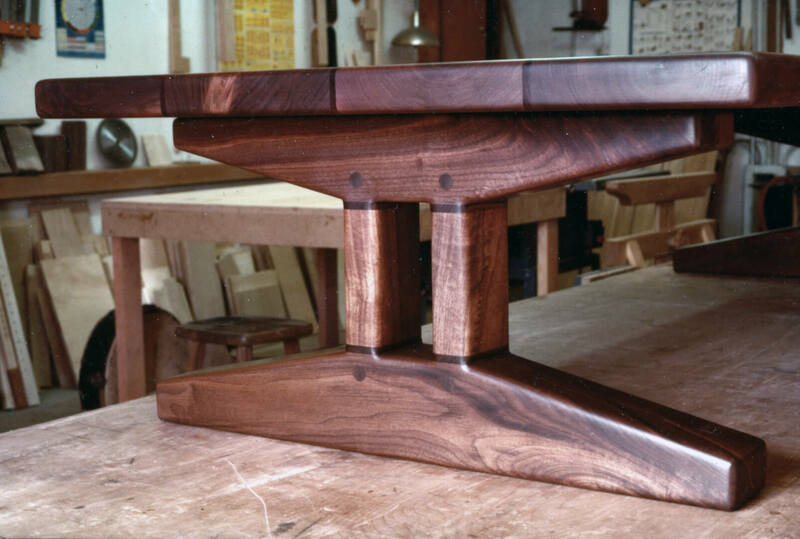 The nickname for this project became “The Pie Table” because of the support trestles’ suggestion of the geometric pi symbol. The finish is hand-rubbed oil and wax.